One hundred and fifty Syrian wedding dresses hang in a temperature-controlled storage facility in DC, one of the largest single collections in the world. They belong to Bassam Al-Kahouaji, the congenial owner of Bacchus Wine Cellar in Book Hill. Bassam’s past lives were all a start for the future, a man defined not by a singular passion for textiles or wine or education, but by the pursuit of passion itself. After meeting his wife while she was working for the U.S. State Department’s international school in Syria, the two married and opened a private school in Bassam’s home country, employing 65 teachers and staff from around the world. There they began to raise a family, Bassam also working as a consultant, still expanding his textile collection. But by 1997, Syria was facing increasing political unrest—prompting Bassam to move his family to the U.S. He’d visited Georgetown two decades prior during his first trip to the States, but had no plans to settle here. Instead, he bought a home on the West Coast, stopping en route to visit his daughter at GW. Unsure of his next career move, Bassam enrolled in graduate school and studied anthropology—a logical connection to his family’s Syrian antiquities and textile business. Boredom soon set in, and Bassam knew it was time to start a business. What kind of business—well, that was yet to be determined. Bassam went home and announced his new plan to a unanimously shocked family. 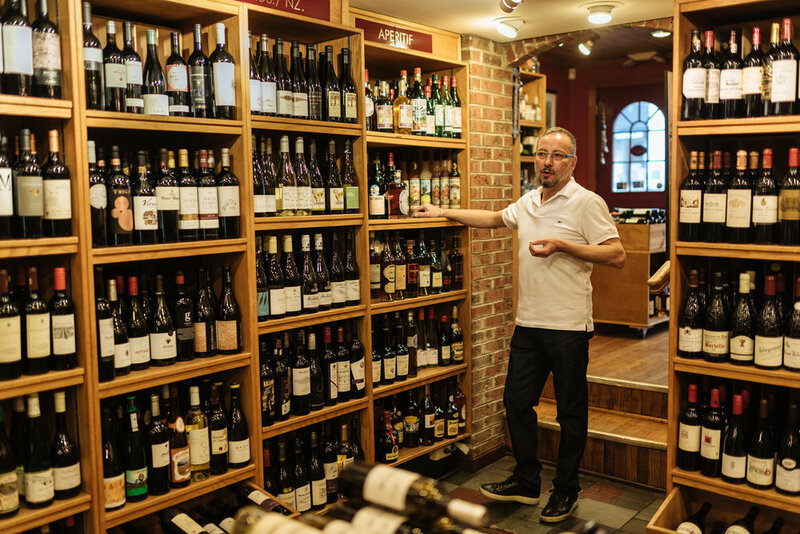 It took Bassam nine months to build up his inventory, study liquor and wine, and open the store. He figured he’d run Bacchus Wine Cellar—‘the God of wine’—for four years tops, then get out. Seventeen years later, he’s still here. ‘If I wanted to get all these mass production items, people would go to Safeway,’ Bassam says. He doesn’t, and they don’t. 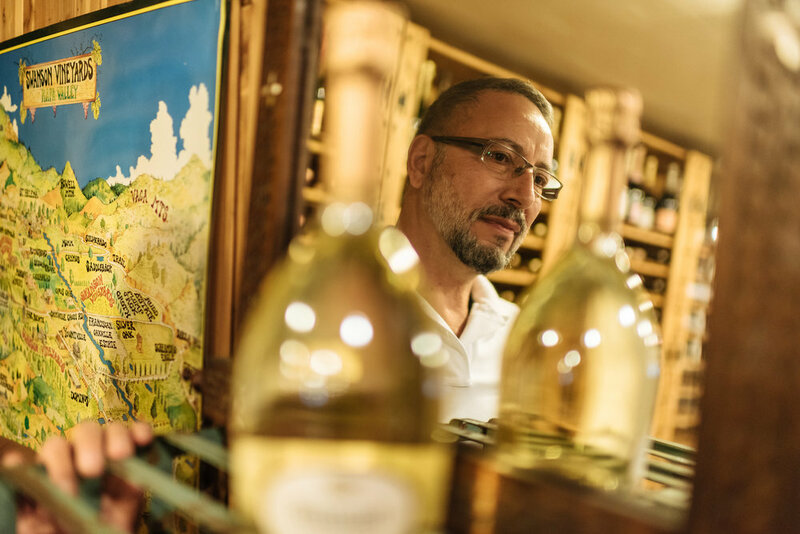 Part of Bassam’s relationship with his customers is steering them toward the right wines for their tastes—and away from white zinfandel. Rarely does Bassam sell something he hasn’t first tried—the catalyst for an ever-evolving palate. For someone who went into the business blind, Bassam has developed a true appreciation for his product. Bacchus is a marriage of Bassam’s emotions and passions—many of his textiles adorning the business. The rest of his collection—rugs, silver objects, paintings, and the 150 wedding dresses once on display at The Kennedy Center—are now in storage, a necessary concession when Bassam and his wife rented their McLean house and moved to Georgetown. He loves the neighborhood, but how long he’ll stay in the wine business is anyone’s guess. Bassam looks over at the wooden crates of wine, shrugging.